Built to inspire, Time Place is a 35-storey tower of glass, light and views, set within the vicinities of Dubai Marina. At Time Place, attention to detail doesn’t stop with the apartments. Special care has been taken with all amenities and facilities to make sure they extend the feeling of exclusivity you expect in your dream home. Ideally located in the exclusive man-made marina Time Place offers its residents great views of the marina and its community.Time Place also offers all that the Marina lifestyle is about – exclusive shopping, fine dining and sophisticated leisure pursuits alongside uninterrupted waterside promenades, sparkling fountains, luxuriant parks and state-of-the-art boating facilities. 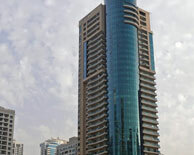 Time Place is close to Dubai Internet and Media Cities and financial centers.